A Mother And Son, And 'The Good Side Of Things' Born in 1948 with spina bifida, Dennis McLaughlin was missing several vertebrae and unable to use his legs. His mother, Theresa, was a single mom, working in a paper mill near Portland, Maine. He interviewed her to thank her for how she raised him. Here's one more reason to be glad it's Friday. 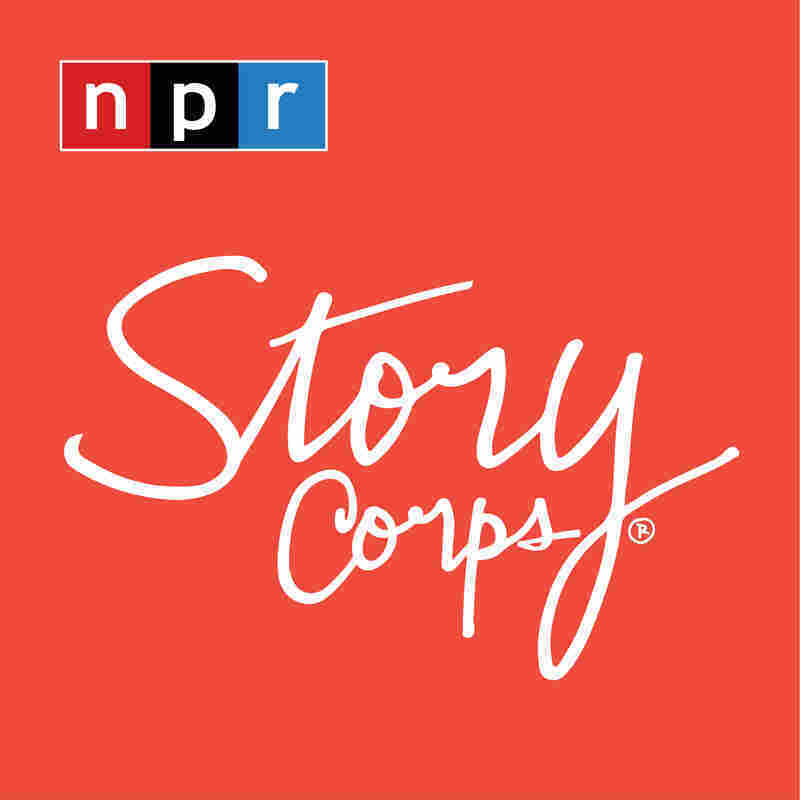 This is the day we hear from StoryCorps, the project that records conversations between loved ones. Dennis McLaughlin interviewed his mom, Theresa, to thank her for how she raised him. He was born in 1948 with spina bifida. He was missing one and a half vertebrae and was unable to use his legs. Theresa was a single mom, working in a paper mill near Portland, Maine. THERESA MCLAUGHLIN: When you were one year old, your grandfather McLaughlin built you a little wheelchair, built it out of wood that he had and wheels from a tricycle, and you got around in that very, very well. DENNIS MCLAUGHLIN: I remember I spent a lot of time in the hospital, in Springfield, Massachusetts. And a few years ago, it suddenly dawned on me what an incredibly long trip that was. What did you have to do to come and see me? MCLAUGHLIN: Well, we lived so far away that I couldn't go more than once or twice a month. And I didn't have a car, so I had to take the bus. I had worked 6:00 to midnight so that I could be with you all day long. And it was very difficult leaving you because the minute you'd see me putting on my coat, you'd start to cry. And then I'd hear you crying all the way down the hall. But I mean, every minute that I spent with you was well worth it. MCLAUGHLIN: When I was 14, my legs were amputated. What was that like? MCLAUGHLIN: It was like a shock. But one doctor told me Dennis will roll with the best of them. And you always have. I remember one instance when you and the neighborhood kids were talking about what are you going to be when you get big. When it got to you, you said, I'm going in the Army. And one of your friends said, you dummy, you can't go in the Army, you can't march. You said, no, but I can ride in a Jeep. So you always looked at the good side of things. MCLAUGHLIN: I'm that way because of the attitude that you had. You know, I think it's just kind of the luck of the draw what family you're born into. And some people aren't so lucky, and some people are very, very fortunate, and I'm one of them. MCLAUGHLIN: You've been a wonderful son. And I couldn't ask for any better. INSKEEP: Theresa McLaughlin with her son Dennis at StoryCorps in Portland, Maine. Their interview will be archived at the American Folk Life Center at the Library of Congress as we head for this weekend's Mother's Day. The StoryCorps podcast is at npr.org.